Her path to leadership wasn’t intentional, but her decisions as a leader have been deliberate. Garnett S. Stokes was a psychology professor who wanted better for her department, when no one stepped-in to help, she stepped-up. 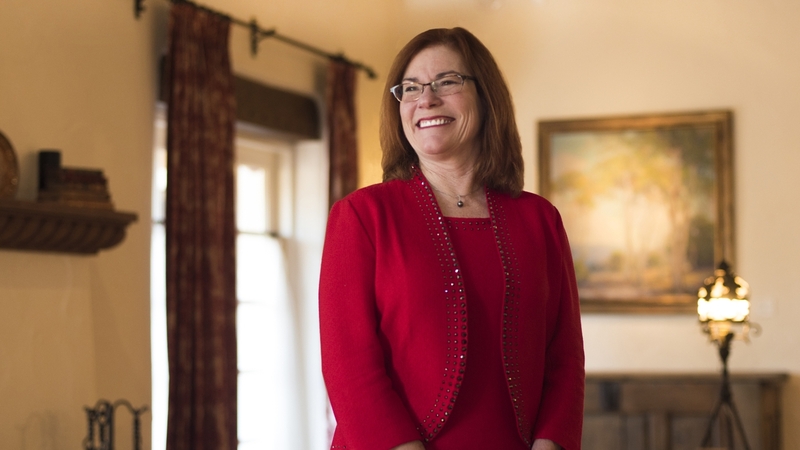 Now decades later, she’s the president of The University of New Mexico and she has promised the Lobo community the same—better, for the University. As an experienced administrator in higher education, Stokes believes that effective leadership involves the capacity to listen and consult with others and that’s exactly what she plans to do. Stokes will soon start charting a course for the University, something she has experience doing. She was provost and executive vice chancellor for academic affairs at the University of Missouri (Mizzou). This past summer she served as that flagship university’s interim chancellor as well. Prior to that, she served as interim president, as well as provost and executive vice president for academic affairs, at Florida State University (FSU), also a public research university. Having worked at these public research universities, Stokes is passionate about the important role these types of institutions play in producing the workforce that's needed for industry, building communities and economic development. Stokes is a new resident of New Mexico, but not unfamiliar with the state. She spent time here as a child camping at Conchas Lake, as part of her family’s annual cross-country road trips. She has wonderful memories of the winds picking up at night, something she hears happens often not just at night but during the day in the spring. Her enthusiasm was also extended when describing her first impressions of the University. A top priority for the new president is getting to know the diverse student population on campus. She can already identify with many of them as she too was a first-generation college graduate. When asked what she would tell these students, she didn’t hesitate. Stokes earned a B.A. in psychology from Carson-Newman College in Jefferson City, Tenn. and M.S. and Ph.D. degrees from the University of Georgia in industrial/organizational psychology. On March 1, she officially became the first female president in UNM’s 129-year history. As the new Lobo leader, she plans to incorporate many of the lessons she has learned on her journey through higher education. One of the most valuable of those lessons—temper judgement. As Stokes prepares for a number of meet and greets and community functions there’s one more thing she wants people to know.